Three disabled peers have asked a panel of senior civil servants why the government appears to have failed to enforce the Equality Act since it became law five years ago. 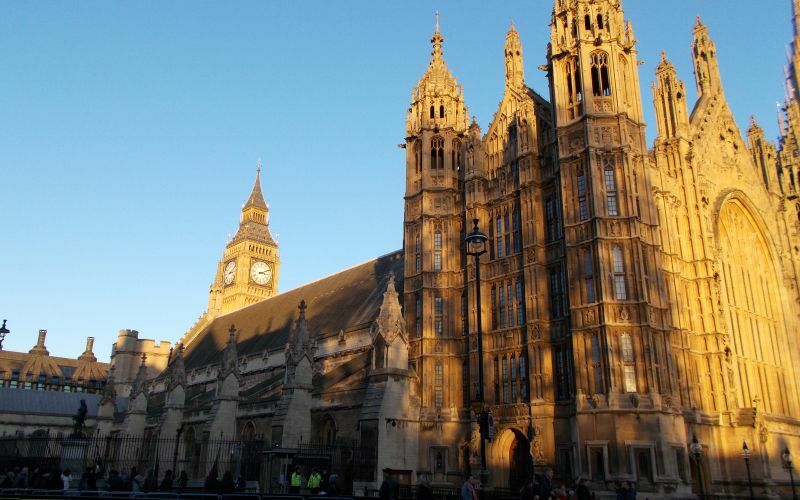 The peers were questioning civil servants from the Office for Disability Issues (ODI) and the Government Equalities Office (GEO), in the first evidence session of a committee set up to examine the impact of the Equality Act 2010 on disabled people. Members of the Equality Act 2010 and Disability Committee – set up on the prompting of the disabled Liberal Democrat peer Baroness [Celia] Thomas – repeatedly asked the civil servants why the government had taken so few steps to enforce the act, one of the final pieces of legislation introduced by the last Labour government. The hearing came days after GEO published a memo setting out key developments since the act was introduced five years ago. The memo reveals that of all the enquiries made to the Equality Advisory Support Service (EASS), which was set up in October 2012 to replace the Equality and Human Rights Commission’s (EHRC) helpline, 62 per cent related to disability, compared with 15 per cent on race, and eight per cent on gender-related concerns. The disabled crossbench peer Baroness [Jane] Campbell – in a week that saw her given a lifetime achievement award by the Bevan Foundation – suggested that the government’s decisions to close the Independent Living Fund (ILF) and place a cap on payments from the Access to Work fund were “very much against government policy on halving the employment gap” between disabled and non-disabled people. And she suggested that the moves could have breached the government’s public sector equality duty, under the Equality Act. Baroness Thomas said that the government’s own Fulfilling Potential disability strategy pledged to transform the care and support system in order to promote wellbeing and independence and achieve choice and control for disabled people. But she said that that promise “does not sit very well with the closure of the Independent Living Fund”, and asked: “How are you going to monitor what the closure of the ILF means for disabled people? When Pat Russell, ODI’s director, said the ILF closure was the responsibility of the Department of Health, Baroness Campbell suggested that her answer appeared to contradict ODI’s supposed “enabling” role and its “cross-government responsibilities”. Baroness Thomas asked the trio of civil servants what the government had done to ensure that the duties under the act to make reasonable adjustments were “actually applied in practice”. She said: “We all know about the theory, but what about in practice? “Those of us who are disabled feel that there’s a great deal that is not being done in this area. Of the roughly 2,200 enquiries a month made to EASS since 2012, 24 per cent have been about a failure to make a reasonable adjustment for a disabled person, according to the GEO memo. Charles Ramsden, head of the GEO’s equality framework team, said the government was “aware of concerns” about reasonable adjustments, particularly in terms of access to buildings. He said that case law had built up over the 20 years since reasonable adjustments were introduced through the Disability Discrimination Act (DDA), and he said EHRC had produced guidance on reasonable adjustments and was frequently involved in key legal cases. Russell pointed to schemes such as Disability Confident and the Accessible Britain Challenge as evidence of government action. Baroness Campbell said she was “really worried” by the government’s emphasis on Disability Confident, when the Business Disability Forum (BDF) had been doing similar work for the last 10 years. She said: “Why are we reinventing the wheel… when you could actually be doing the enforcement practice on employers who are confident but still do not undertake the reasonable adjustments so [disabled]employees can come to work every day? Russell said that enforcing the act was not the role of the Department for Work and Pensions (DWP), which is responsible for ODI, and that colleagues were working alongside the BDF rather than replicating its work. Ramsden said that, although there were concerns that EHRC had lost some of its functions, it retained its Equality Act enforcement role, and was still able to assess compliance with the public sector equality duty, carry out investigations, and help people taking cases to court. He said: “The nub of the issue, and an extremely difficult one, is trying to get some kind of handle on enforcement but at the very earliest stage before in effect there has been any kind of dispute.